Teams extend beyond office walls — spanning countries and companies — and video meetings have become critical to bringing teams together. No matter where you’re sitting or even when you’re on the go, you expect to be plugged in so you never have to worry about missing a thing. 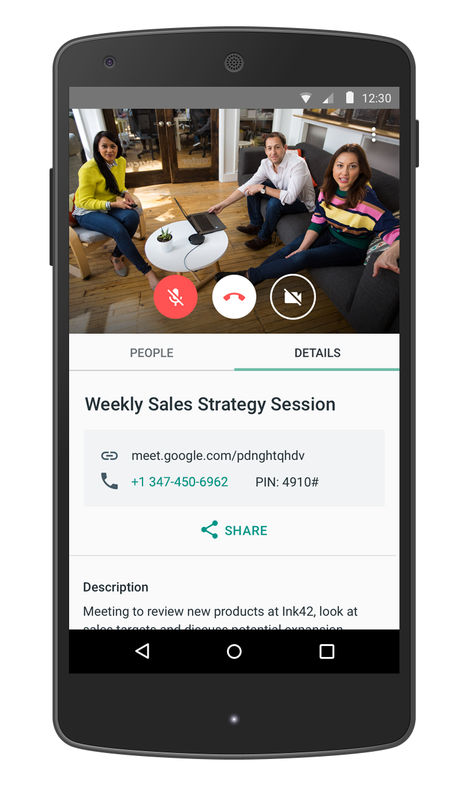 A new meeting experience for Google Hangouts makes this exceedingly easy: no downloads, no browser plugins, invite anyone, join from any device, even without an account or a data connection. Every meeting generates a short link and dial-in phone number so you can invite anyone without friction. An updated user interface accommodates up to 50 video participants, and with seamless integration into Calendar and instant screen sharing, your team will be better connected than it ever was before. Like Team Drives, we’ve been previewing this new meeting experience with a small set of customers and we’ll be extending this to more customers through an Early Adopter Program. Provide your information here to learn more about these Early Adopter Programs when they launch. 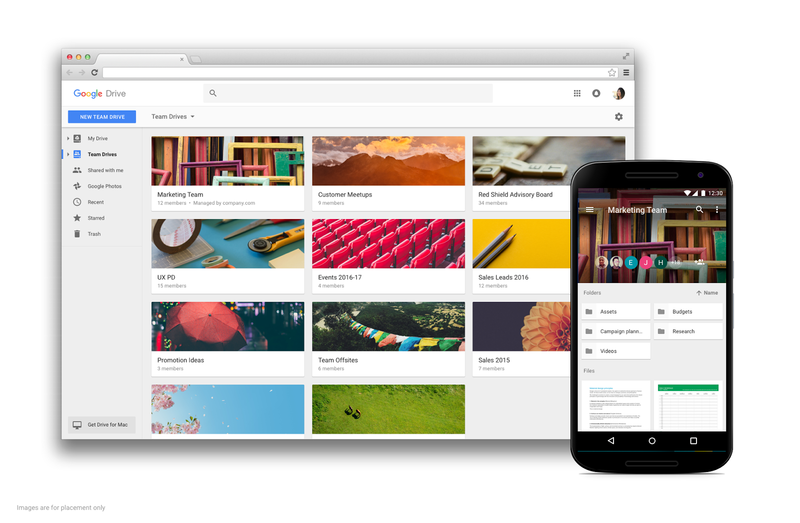 *Note: the Team Drives EAP will be available to G Suite Business and G Suite for Education customers only.